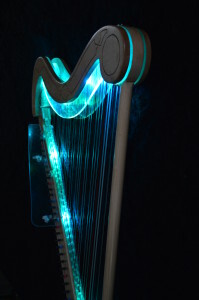 An audacious combination of illuminated clear sections, and brilliant colored or natural woodtone sections, makes the Figment harps a very special treat that stradles the worlds of light and solidity. 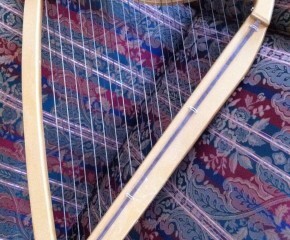 From a distance, with no lights on, a Figment Harp comfortably blends into those settings where the calm and lush sound of the harp is needed. 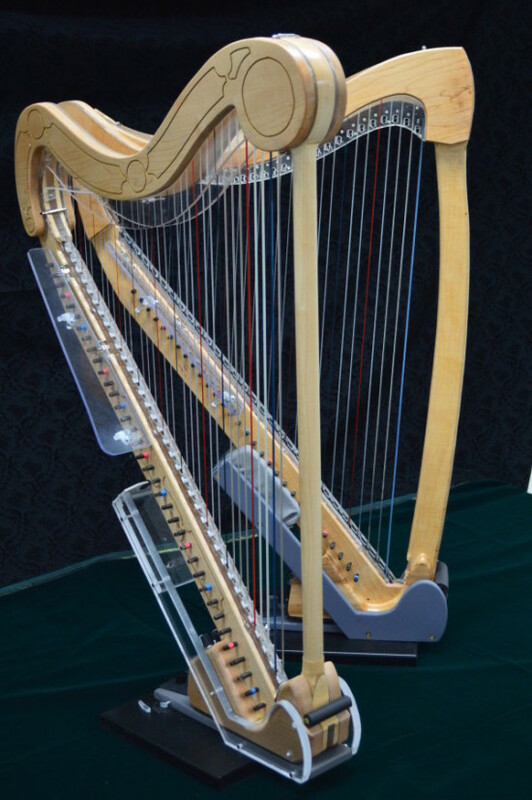 But up close, or whenever the multi-colored (or white) lights are turned on, the Figment Harp is a magnet for attention and awe. 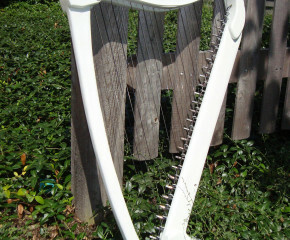 Figment Harps are available as 30 string Celtic style, or 32 to 36 string Paraguayan style instruments. 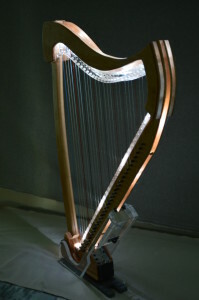 With the LEDs set to white, the Figment Celtic is elegant. 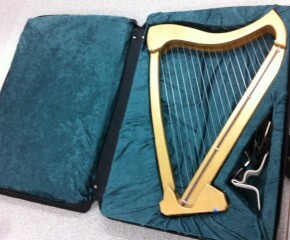 Also great for playing in near-darkness!